For more information call the front desk or stop by TODAY! Call the today for more information! Broward Elite is a family owned and operated training facility for kids ages 3-19. We offer affordable Teams and Classes for all ages and levels. Our athletes learn sportsmanship and dedications through All Star Cheerleading. We have 9 unstoppable Competitive Cheerleading Teams ranging from No Experience Needed to Level 5 Worlds Athletes. Come check us out by calling 954-577-3332 for more information! 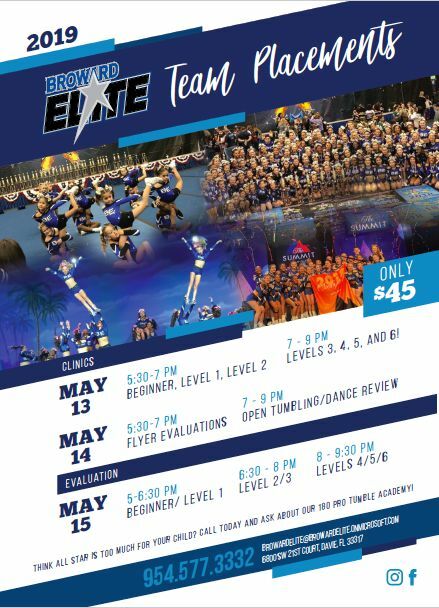 There is a place for everyone to learn and grow together at Broward Elite. If you are looking for an incredible cheer experience for your child, you've come to the right place. We pride ourselves in a culture of emphasizing excellent training habits, discipline, courage, integrity, perseverance, confidence, and teamwork with all of our athletes. A Huge Congratulations going out to our XS Coed Level 5 on getting a Bid to the 2019 All Star Cheerleading Worlds! 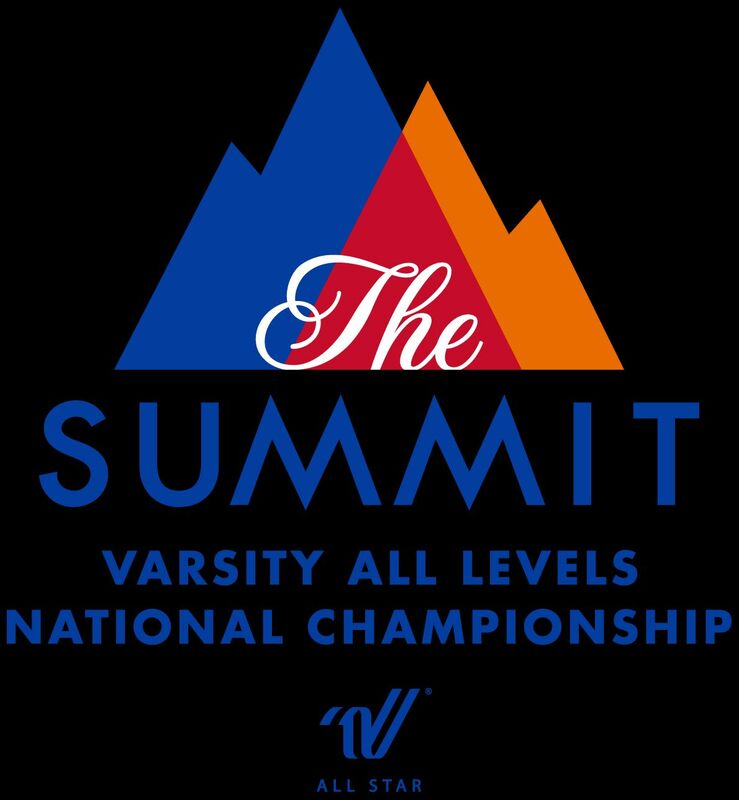 We would also like to formally Congratulate all of our teams who have received bids to The Summit 2019!! Fierce Katz- Medium Senior L2 Paid Bid from Mardi Gras Nationals! Queen Katz- Small Senior L1 At Large Bid from Spirit Cheer Nationals! Royal Katz- Small Junior L3 At Large Bid from All Star Challenge! Wonder Katz- Medium Youth L1 At Large Bid from All Star Challenge! Is your team ready to have some camp fun while learning new skills? Or maybe find a cool place to practice to escape the heat? 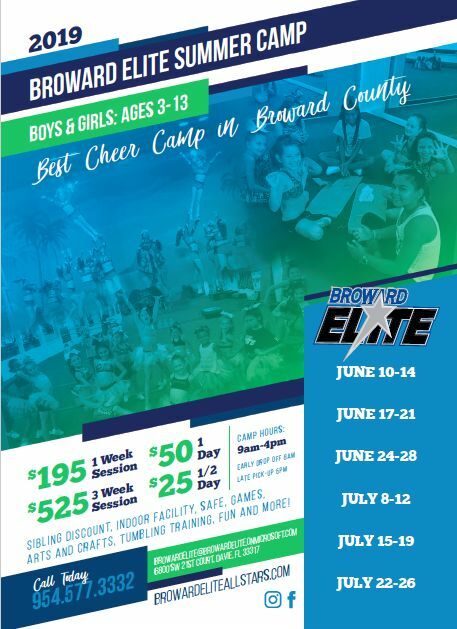 If your answer is YES, then you need to register for Broward Elite Skills/Summer Camp ASAP! For more information on camps have your Coach/Sponsor contact us at 954-577-3332.